MERLIN Properties SOCIMI, S.A. is one of the major Spanish real estate companies trading on the Spanish Stock Exchange and included on the quotation System (Sistema de Interconexión Bursátil – SIBE or Continuous Market) since 30 June 2014. 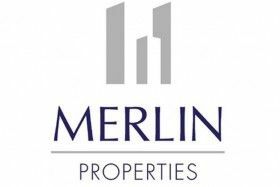 MERLIN Properties is a SOCIMI (Spanish REIT). The company specialises in the acquisition and management of commercial property in the Core and Core Plus segments in the Iberian region. The company boasts a team of professionals with extensive and proven experience who manage the company's portfolio of assets seeking the highest operating efficiency and returns. MERLIN Properties is led by Ismael Clemente, Executive Chairman and CEO; Miguel Ollero, CFO and COO; and David Brush, CIO.